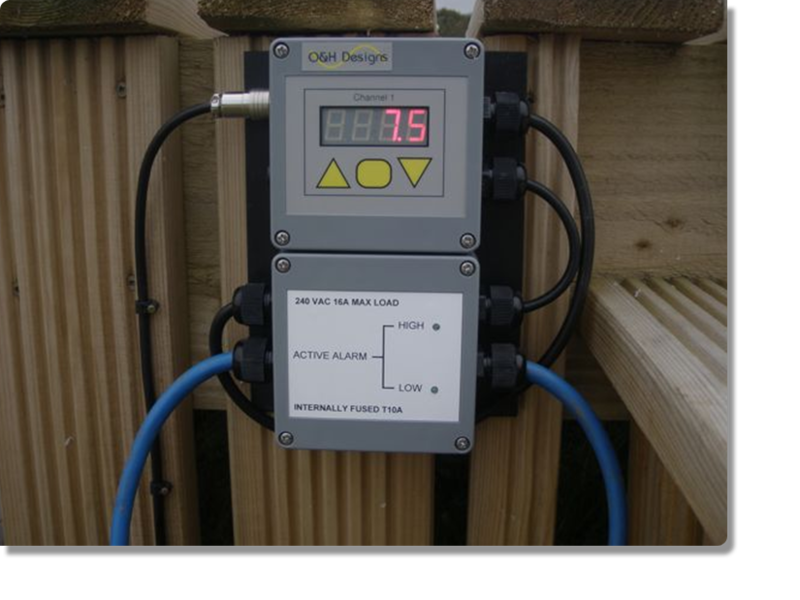 DO1020 DO2 Monitor has been designed specifically to monitor DO2 levels in the water, and switch on the aerator when dissolved oxygen levels drop to a dangerous level. However this high concentration of dissolved oxygen is often restricted to the upper layers of the water, thus having little effect on the anaerobic sediments at the bottom. By circulating this high concentration of dissolved oxygen throughout the water depths, it is distributed evenly throughout the water. This allows optimum conditions to develop for the aerobic micro-organisms, which in turn help break down the organic matter into inorganic compounds that are not harmful to fish and aquatic life. When the DO1020 is used with a duel motor aerator such as the Combito, Combo or Combix, the same DO1020 unit can be set to switch on the circulator motor only when the DO2 levels in the lake reach saturation. A single DO1020 unit can monitor both lower and upper levels of dissolved oxygen in a water, and power up the machine of your choice when required. The unit can be mounted on a tank or fixed to a post at the side of the lake, and gives a constant visual display of the DO2 levels.